Goodbye 2018, Hello 2019! | Rochdale Harriers & A.C. 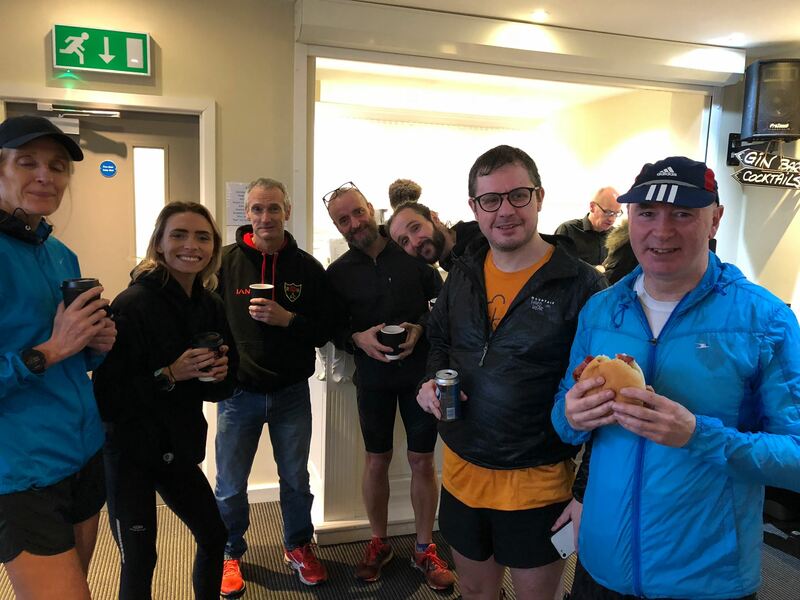 The end of 2018 and the beginning of 2019 marked a busy running programme for many Harriers. Saturday saw ten Harriers join Ian Stainthorpe at Fletcher Moss parkrun in Didsbury, it was not only Stainers 250th parkrun, but his 106th different parkrun course. Fletcher Moss is a relatively new parkrun (7th edition), run on a fast course of compact with trails, with facilities including the opportunity for a post run drink and bacon sandwich at TOC H Rugby Club. 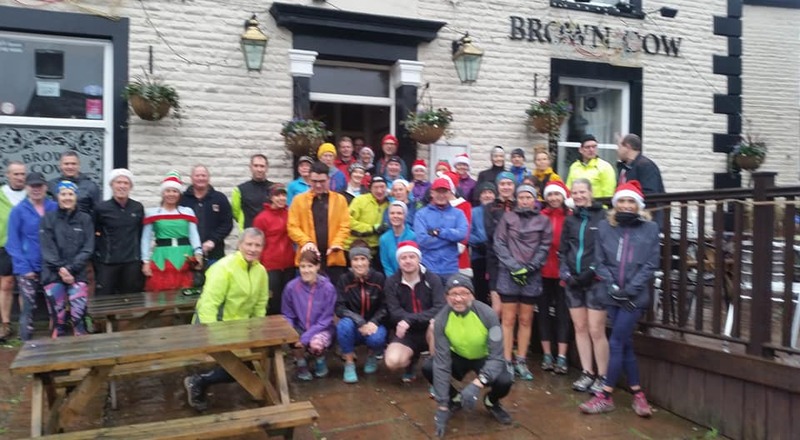 Sunday was the “Would Famous Rochdale Harriers Chip Butty Run” this club social run saw more than forty Harriers and friends of the club taking on an off road route that took in Ashworth, Knowl Hill and Greenbooth and Naden Reservoirs. 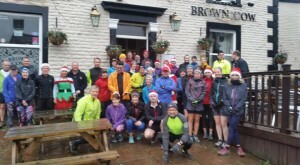 This was all followed by chip butties and refreshment in the Brown Cow in Norden. 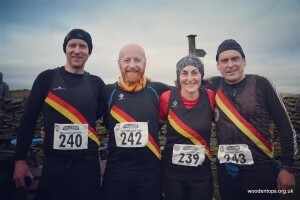 Monday saw some Harriers at the Middleton Harriers social run at Littleborough and more at Auld Lang Syne Fell Race from Penistone Country Park. Auld Lang Syne is famous a the high quality field and fancy dress, which this year saw coverage on ITV and in national newspapers. Jill Barton, Joanne Walsh, Colette Cooke, Mark Walker, Nick Walsh, Alex Frost and Craig Wellens all took part, making it a bumper year for Harriers participation. In recent years a new tradition for New Years Day has formed, the double parkrun. John Deasey and Kay Welsby did a Watergrove and Burnley double and Nick Barton, Matt Jones and Dan Merlo did a Watergrove and Oldham double. Nick, Matt and Dan then drove to Whitworth to join a number of other Harriers for Andy O’Sullivan’s New Years Day Awakener from the Red Lion. Jon Dearnley-Lane was second and Steph Harrison was first lady.